My feelings about Cape Cod are complicated – it seems to be a place so very stuck between eras, never successfully occupying either present nor past – but I never fail to be charmed by the light, how it brings out colors that seem to exist nowhere else, particularly in the early morning and late afternoon. 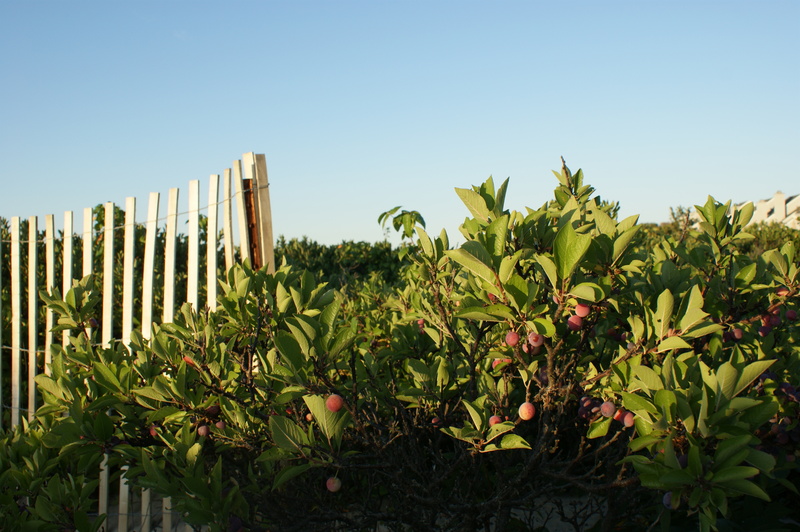 It’s beach plum season, when the colors of both summer and autumn are exposed by the golden light in frosty skin of the pink-blue-purple fruit. Will you make jam to have a taste of late-summer all winter long?